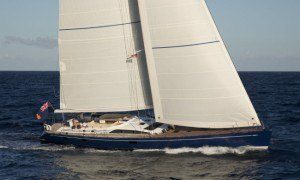 Sailing yachts range from the classically exquisite ‘gentlemans yacht’ to the sleekest of ‘panthers on water’ born this year. Again we are looking for style in motion and the perfect crew. Charter a sailing yacht to glide silently from one island to the next while still enjoying an extraordinary level of creature comfort. Sailing enthusiasts will be thrilled to find that crew are delighted to share their knowledge and teach sailing skills to any of the guests who’d like to learn more. Many have an abundance of water sports equipment, excellent communications systems and a wealth of design features. One of the advantages of a chartered Sailing Yacht is that the expenses are minimal compared to most motor yachts. The fuel bill is negligable and almost always picked up by the Owner of the yacht (confirm this with us in your Charter Agreement).The other beauty of a sailing yacht is, of course, that once you’ve got all the sails up, you don’t have to listen to engine noise – just the sound of the sea. Having sailed around most of the world on a variety of yachts and having been involved in the sailing yacht fraternity for over 30 years, we can recommend you the best of the fleet wherever you choose to cruise. Ranging from 50′ upwards, there are superb yachts to choose from to cruise the world’s oceans and seas, islands and coastline. 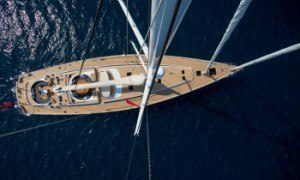 Charter a sailing yacht in the Caribbean to experience ‘life on a beam reach’. The trade winds bring a steady Easterly breeze making it a perfect cruise up and down the island chain that runs from North to South of the Caribbean. 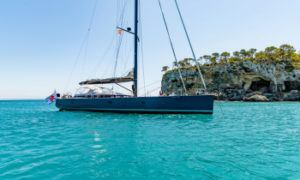 Charter a sailing yacht in the Greek Islands, Croatia or Turkey to experience peaceful coves, charming tavernas and an eternal discovery of islands. The West Med brings thoughts of chartering a yacht in Sardinia, Corsica or the Aeolian Islands. South of France is always popular too. Spain and the Balearic Islands of Ibiza, Mallorca, Menorca and Formentera make a fantastic cruising ground with some excellent sailing between the islands and some fun coastal reaches too. 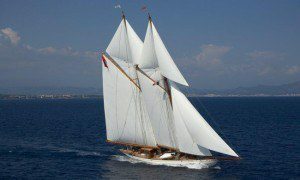 There is now a developing fleet of charter sailing yachts there which are fully licensed for charter under the Spanish flag regulations (do check if you are chartering a yacht in Spanish Waters from another company, that they can confirm the yacht is legally able to charter there – fully VAT paid and registered for charter as otherwise the yacht can be impounded). 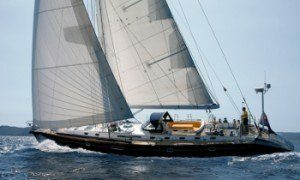 We also offer some superb sailing yachts for charter in the South Pacific, Asia and Indian Oceans. North American – both West Coast and East are highly regarded for their sailing opportunities. 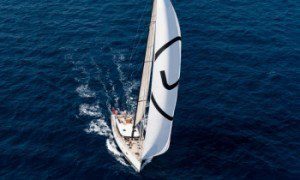 76' (23m) CNB Bordeaux Sailing Yacht. Built 2015. 6 Guests. 3 Crew. West Mediterranean/Caribbean. From $24,997 pw. All inclusive. 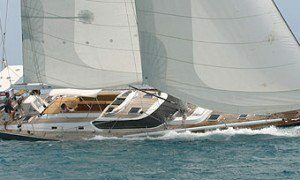 92' (28m) CNB Bordeaux Sailing Yacht. Refit 2015. 8 guests. 3 crew. West and East Mediterranean. From $43,019 - $47,432 pw. All inclusive. 64' (19m) CNB Bordeaux Sailing Yacht. Built 2001. 6 Guests. 2 Crew. West Mediterranean. From €12,000 - €14,000 pw. All inclusive. 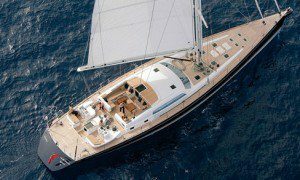 If you are interested in finding out more about charter on one of our recommended sailing yachts anywhere in the world, please get in touch and we’ll be delighted to help.